Black tea, cherry & fruit chips. 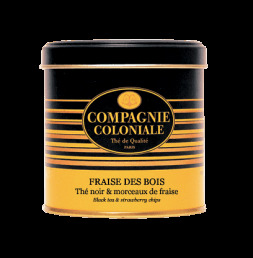 Blend of Chinese black teas flavoured with cherry and sprinkled with pièces of fruit. Un goût cerise très prononcé. Un régal ! Black tea, chocolate & cherry. Black tea & strawberry chips.